Part of PM Marketing-NetworkLeads Integrated Marketing Platform (IMP). Some companies charge hundreds, even thousands of dollars every month, but we're not like other companies. 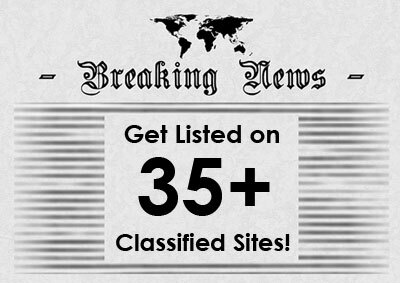 Just $50/month to run ads on 35+ sites. You can edit your ads at any time for even better results. You Do Your Part, We'll Do Ours. There are a total of 35 Unique Websites associated with The Youmongus Ad Network for this project. If you want us to list you on even more, we can... just contact us for customized packages. We also provide plenty of training... and you get to use what we teach on other things you are doing, such as Phase2, Phase3, Youmongus Blog, etc. It's pretty obvious to anyone that works with us... we really do everything we can for our customers. The Youmongus Ad Network will show you how you can advertise effectively. If you have access to a computer, the desire to learn, and the self-discipline to go to work and apply what works, then you're ready to Get Started Right now. We'll even help you with training along the way. Make your Payment, then Create an Account. Your specific and individual results will vary based on the product or service or message you offer. Your results will also be determined by your skills and your follow up. No guarantees or results implied or stated. Please do not post anything illegal, offensive, or copyrighted and used without permission. Youmongus Ad Network reserves the right to prohibit or delete any ad for any reason without explanation. Youmongus Ad Network personnel will monitor for compliance. © Copyright - 2014 - 2019 - www.YoumongusAdNetwork.com : All Rights Reserved.